Each individual has desires and passions which motivate them. Frequently it is pride in our families and children. It is with great care I pen these thoughts. It has been my wonderful privilege to participate and lead in several building projects abroad. My passion for building has allowed me to visit countries like Bolivia, Ghana, Haiti, and remote areas of Puerto Rico and Mexico. The framework of these building projects has been the ministry of our church for the construction of other Churches, Orphanages, and Bible Schools. 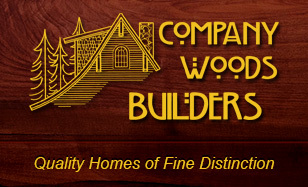 A number of the workers of Company Woods Builders and Associates have participated in each of these projects. Each participant funded their way and some have even gone beyond to fund other aspects of the construction projects. It is these trips which help me to re-focus priorities, business objectives, and opens my eyes to the needs around me. 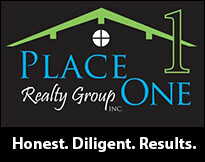 It is with pursed lips that I’ve listened to clients in my office describe “needs” they have for their new dream home. When in my mind, plays the video of the indescribable filth and suffering in many Third World Countries, just beyond our doorstep, and far too often overlooked. I’ve found that in this, our great nation, the values which fill our American minds: relaxation, recreation, and our inalienable “right to the pursuit of happiness” are often incomprehensible by those whose lives are filled by the serious business of continuing to exist. I have found that our daily freedoms are rarely valued as much when we have seen the beaten bodies of those who can only dream of our liberties and freedoms. While abroad, I’ve realized the growth in my perspective as I hear the songs of playing children, barefoot, not concerned when the next meal might be coming. It is the gifts, photos, and memorabilia occupying my workplace which continually remind me of the unbelievable hardships endured by these, my brothers and sisters. But perhaps, more importantly, I can also testify to the great rewards simply by taking the opportunity to help. The fondness of great memories of the places we visited have a permanent place in my heart and mind and continue to make me aware of the opportunities to help those less fortunate. When given a choice, choose to say “Yes” to help someone in genuine need. When given a choice, choose to roll-up your sleeves and make the difference, especially in a young life. When given the choice, choose to make eye contact and lend a hand. Also, when given the choice, choose the Cow’s Udder over the Black Snails but only if the Grass Cutter Rat is all gone.